Emergencies and disasters are unforeseen, and when they do occur most people tend to lose valuable time mourning which would otherwise be used in combating or mitigating the damage. Professional restoration companies provide both residential and commercial properties with restoration services in case of fire damage, water damage, mold damage, smoke and soot damage among others. However, it is always advisable to remember that a restoration firm offering services round the clock is always best since emergencies know no time. State of the art equipment is used by restoration companies to mitigate the damage and effects emanating from such occurrences. The most common restoration services offered by these companies range from dehumidification, fire and smoke restoration, water removal services, contents restoration, catastrophic storm response, document drying and electronics and equipment drying among others. Most professional restoration services and companies are indeed trained to clean up after a mess which is the main reason why cleaning services are entailed as well. Contrary to common perception, cleaning up after a flood or water damage for instance takes more than just mopping off the water in sight. The process entails a host of processes and applications geared towards getting rid of the hazardous germs in the water. Other cleaning services offered by professional restoration companies include: upholstery cleaning and disinfection, deodorization, ceiling cleaning and vandalism clean-up among others. Time factor is always of paramount importance during water or fire damage emergencies and a professional restoration firm will always respond in due time. 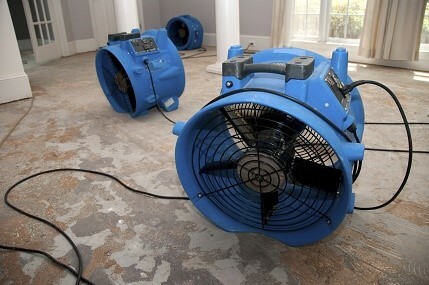 Damages emanating from natural disasters such as storms or even plumbing issues can extend fast. It is hence vital to quickly mitigate these effects by alerting professionals in the shortest amount of time possible. These technicians use high-end equipment to not only dry water but also mold and mildew remediation to ensure a healthy environment. Find an Action 1 Restoration location near you at http://www.action1restoration.net/contact-us/locations/ for immediate assistance. In the case of fire damage, professional restoration service will go a long way in saving you huge amount of losses pinned to such an occurrence. Fire not only burns down items, but also leaves behind a huge cloud of smoke and soot that can be quite hard to eliminate. Specialized methods such as deodorization therefore come in handy and they can only be properly done by professionals. 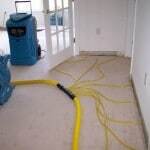 All said, a water and fire damage restoration company wields enough capacity and expertise to handle all restorative and remediation processes following common occurrences such as flooding and storms, fire and piping issues causing flooding. You can read more about unforeseen disasters and emergencies that can happen at this website.